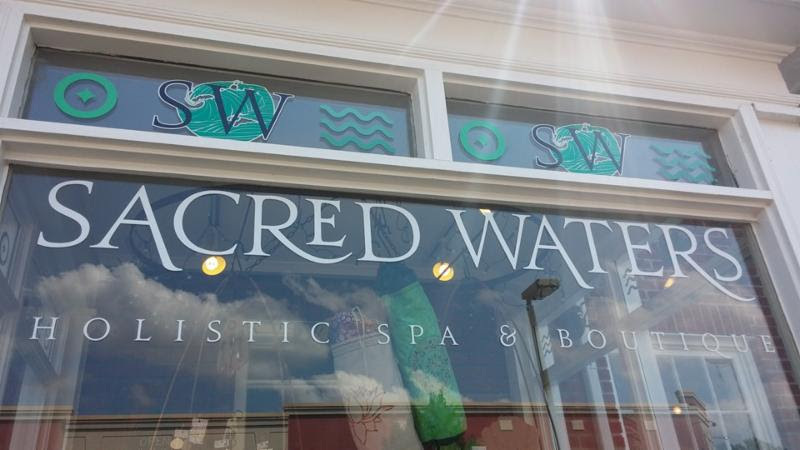 We are offering a Spring into Spring Open House at Sacred Waters to introduce our new services and products to help you reach your wellness goals and get your fill of FREE HUGS! We’re ready for Spring at Sacred Waters…Celebrate with us at our Open House! Just last week we saw our first bud of color popping out of the earth…huzzah! We are excited to celebrate with all of you and lots of FREE HUGS. On Thursday March 10th we are offering demonstrations of our new services including Thai Massage and our “Experience” sessions including some Bali infused massage and “Into The Woods” which features Naturopathica products. Ryan Greene will be talking about what “Custom Concierge Massage” is and how to utilize our services at Sacred Waters. Amy Muir is presenting a 28 Day Clean Eating Challenge to help jump start a rejuvenated feeling in your body. She’ll talk about using food for fuel and decreasing inflammation throughout our body systems to let go of bloating and increase energy. Sacred Waters is offering a support community for a 28 day challenge beginning April 1st so now is a great time to get excited and get ready to feel amazing! 4:oopm – what are Essential Oils? 5:oopm – what is MediCupping? 6:oopm – What is Reiki? Jesi Pair our esthetician is at your service to talk through your skin care needs and help you discover the greatest path to your skin care success this Spring. As seasons change skin needs change as well and Jesi can help you find the best path to navigate through new climates. The Naturopathica “100% Pure Results” Facial is a skin conditioning treatment designed to correct inflammation, the primary cause of premature aging. The session begins with an exfoliating treatment that sweeps away dead surface cells and impurities, followed by a layering Naturopathica Plant Stem Cell Booster Serum combined with ultrasonic and microcurrent technology to leave skin protected and revitalized with a radiant glow. Limited appointments available…please call 804.727.9934 to reserve your space on March 10th. Ann is offering Thai Massage demonstrations throughout the Open House at Sacred Waters on March 10th. She will also be offering information about her new services including herbal compresses for inflammation and respiratory health, fire cupping, scraping and wind gate therapy. Come in comfortable clothes and get ready for some Gaai ya paap bam bat (Thai folk medicine/physical therapy). We’re offering sales and specials on many of our boutique goods on the night of our open house…and not just sissy little discounts…REALLY REALLY good ones. Bring Your Own Vessel and get a special discount on custom body care purchases throughout March.